All the prices on the web www.marija-m.com are noted in kunas with VAT included. While purchasing a product on the given day under given price, the product will be shipped and charged under the price indicated in the moment of purchase. The prices are valid until the processing new ones. 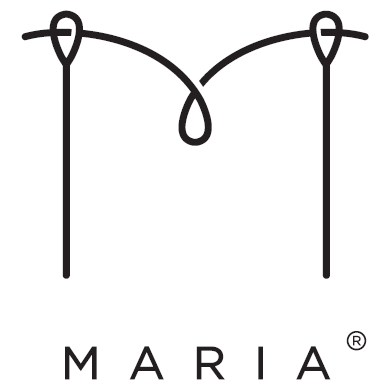 The prices indicated are valid only for the web shop on www.marija-m.com and are not necessary the same as in the physical stores, or other web stores. Maria modna odjeca has a right to change the prices without previous notice as well as changing the prices exclusively for web shop. Furthermore, Marija modna odjeca has a right in any moment to determine discount prices. The buyer is not obligated to be registered on www.marija-m.com to be able to proceed with purchase. During the registration, buyer is asked to type in his/her e-mail address and password. Ordered products, with possible delivery costs, the costumer is able to pay on delivery through delivery service (valid only for orders within the Republic of Croatia), credit transfer (general payment slip or through internet banking) or credit and debit cards such as: MasterCard, Maestro, VISA, VISA Electron, Diners i American Express. Delivery fee is charged only after the Seller establishes that the ordered products are available in the store. In case of card payment the Buyer needs to fill up a payment form and the means on the card will be reserved, the transaction will be made only after the Seller establishes that the ordered products are available. Item delivery is made through express delivery within 8 business days from the moment of item availability conformation. The Buyer has a right to refuse to take over the delivery if he noticed some exterior package damages. Items are ensured from delivery losses, therefore if the Buyer doesn’t receive the package or he does not hear from the Seller within 20 days after ordering the product he is obligated to inform the Seller who will then try to find the delivery or send the new one. If the Buyer does not take the delivery from the courier within 5 business days, the delivery will be returned to the Seller. Delivery cost is not charged for the orders equal or greater than 500,00 kn. For the orders minor than 500,00 shipping is charged 35,00 kn. Delivery costs for other countries are described on this link. The expenses of items return are to be beared by the buyer. Marija modna odjeca is responsible for the quality and default errors on bought products on web shop www.marija-m.com. We kindly ask you to write down you name and surname, address, contact and description of the complaint. We will respond to your complaint within 3 days after receiving it. If the buyer sends the form via e-mail, Marija modna odjeca will notice the buyer in shortest period possible about receiving the form. If the buyer unilaterally terminates the contract he is obligated to return delivered product (bearing the cost) to the address of the seller. Marija modna odjeca is obligated to make a refund to the buyer within 14 day deadline. Marija modna odjeca obligates itself and guarantees that in any case, your personal data will be processed consciously, fairly, with usage of suitable protection measures with a goal of preventing unauthorized publishing and malicious usage of your personal data, all of that in compliance with Law on the Protection of Personal Data (LPPD). Marija modna odjeca will not deliver your personal data to the third party, only if the law says otherwise. Your personal data will be processed until you revoke your consent, thereby they will be permanently deleted. Depending on the purpose of collection and processing of personal data, which was described previously, Marija modna odjeca can ask you to leave following information: name, surname, username, e-mail, address, city, zip code, country and phone number. In case of previously stated events, Marija modna odjeca collects and processes your personal data only based on your personal consent. When it comes to your personal data, you have the following rights: you can request access (overview, notification and issuing a copy), rectify, add, update and delete the data, as well as revoke the agreement to process your personal data, in other words that in any moment you are able to withdraw your agreement and stop the processing of your personal data, also to be notified by Marija modna odjeca about the status of your request. by sending a mail to Marija modna odjeca, Donji Macelj 95B, Durmanec, Croatia. If you revoke your consent for personal data processing, Marija modna odjeca is obligated to permanently delete all your personal data within 15 days from receiving the revoke. In case of unauthorized personal data processing you have a right to begin a proper case against Marija modna odjeca in front of the competent jurisdiction and in compliance with current laws in Republic of Croatia. Visiting Marija modna odjeca web shop pages you communicate online. Therefore you agree to all consents, notifications, announcements and other contents which are delivered to you online and through this way they satisfy legal framework as they were written. Marija modna odjeca keeps all the rights to change and update this buying terms. Every single change of terms of buying will be posted on pages of Marija modna odjeca web shop.